Photo courtesy of Gizmodo Australia. While Apple is selling its iPad Pro 12.9-inch tablet for north of $1,149 (on sale for $999 today), Amazon is selling tablets for almost the price of the case! Specifically, Prime members can get a Fire HD 10 Tablet with Alexa Hands-Free, 10.1" 1080p Full HD Display starting at $100! If you want the case too, the price is $180! 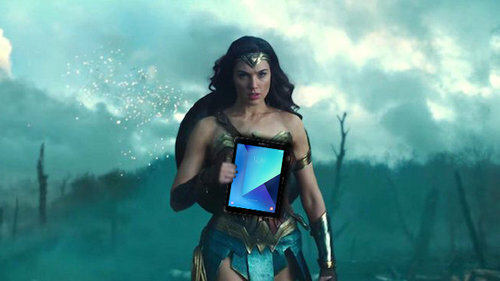 The tablet comes in black, red and blue. We suggest you get the model with 64 GB which adds $40 to the cost. In addition, you can finance the tablet without interest, over five months. We recently spent over $200 for the Apple Smart Keyboard Folio (for iPad Pro 12.9-inch, 3rd Generation, US English)! Moore's Law is incredible - which reminds us, so are the profits Apple makes from its hardware! Oh, and it's just $50 for the 8-inch model of the Amazon Fire Tablet with $30 off!